Owners was very friendly and helpful. Location I guess just perfect, it absolutely quiet, lots of restaurants around, if you want to the beach, market - here you go, less than 100 m by walk. I liked the pool, the aircon was refreshing and the shower was okay. Able to rent a cheap bike there too and they staff were super friendly. Really nice room for a really good price. 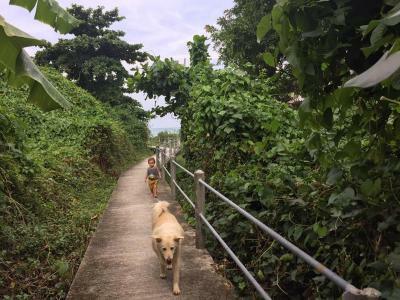 5min walking from the beach of Lamai. Nice staff and good cleaning. They have a nice garden, with pool which is not so clean, but ok. There is a lot of trees and birds, and garden is very calm. Beach is close, there is cool viewpoint and that is only that they have. Great location, just a 1 minute walk to a really nice beach with lots going on. Great room, really spacious and aircon was available (definitely needed) available to book transfer through the hotel at a cheaper price which was really helpful. Laundry service and shops including 7 11 right next to hotel. Only a 5 minute taxi ride into the main town with lots of nice restaurants. Great location (close to the beach, and not far to the ring road), nice stuff, very calm, restaurant with viewpoint (good to eat burgers on sunset). Garden, Lovely staff, restaurant!!! Amazing view, great swimming pool and 3 minutes far away from the beach. 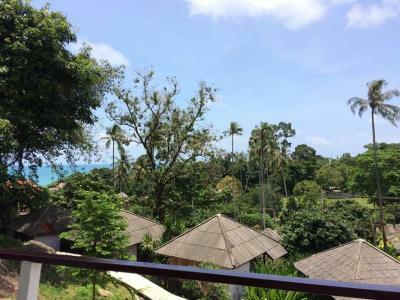 Private Lodge Beachside Samui Lamai This rating is a reflection of how the property compares to the industry standard when it comes to price, facilities and services available. It's based on a self-evaluation by the property. Use this rating to help choose your stay! One of our best sellers in Lamai! 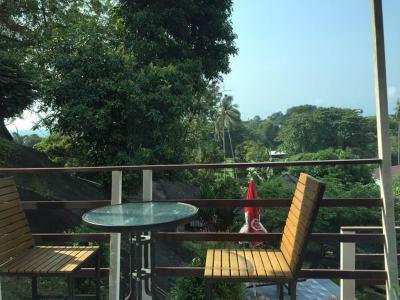 Located 1,650 feet from Grandfather and Grandmother Rocks, Hill Top Bungalow Samui Lamai features free WiFi. 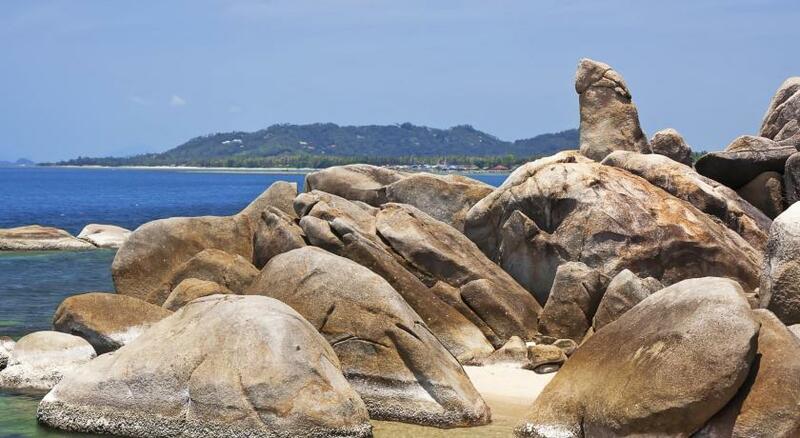 Local attractions include Lamai city center (1,300 feet) and Samui Aquarium (2.4 mi). Samui Airport can be reached within 11 mi of the accommodations. The rooms features a private bathroom with shower facilities. 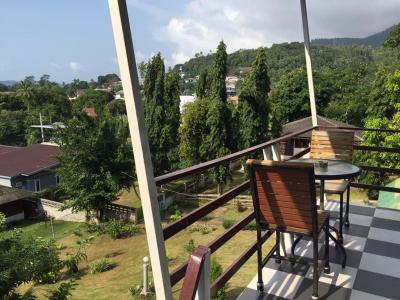 Hill Top Bungalow Samui Lamai provides laundry services, while the on-site tour desk can arrange trips and ticketing. Free private parking is possible on site. 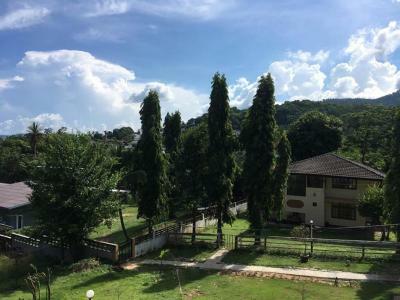 뀐 Located in the top-rated area in Lamai, this property has an excellent location score of 8.4! When would you like to stay at Private Lodge Beachside Samui Lamai? House Rules Private Lodge Beachside Samui Lamai takes special requests – add in the next step! Private Lodge Beachside Samui Lamai accepts these cards and reserves the right to temporarily hold an amount prior to arrival. Please be informed that any check-in that is expected to be made after 16:00 hrs, guests have to inform the property directly via either email or phone. Contact details can be found on the booking confirmation. Please note that concierge service is not available at this property. Guests have to elevator their own luggage by themselves. 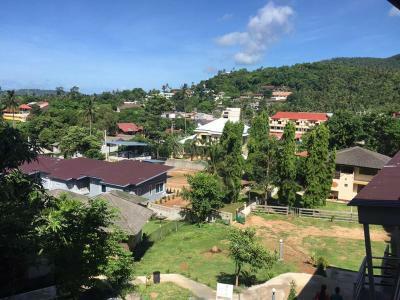 Please note that check-in and key collection take place at: private lodge samui lamai, 127/250, opposite makro supermaket lamai, next to Green canon bungalow, koh samui 84310. Cleaning (change bed once per week) Wifi quality is awful, only at pool area. 200 baht per person to add breakfast, quite expensive for me. We reserved the budget room, for 18€ for 2 nights but we get accommodation like a basement. Terrible room, with a lot of ants, dirty floor. I don't know why people rent this place for tourist, this is appropriate for some storage space or something similar. Our bed didn't have mattress just very thin sponge (about 3cm) which was totally uncomfortable. Luckily that we stayed only two nights there. That was cheap but this is not good for that price. That we didn’t stay for longer! Dirty everywhere, there're spider webs on the walls, even a snail! The room smelled like mold. Out of our room was all trashy. The pool was unusable.